Greetings! 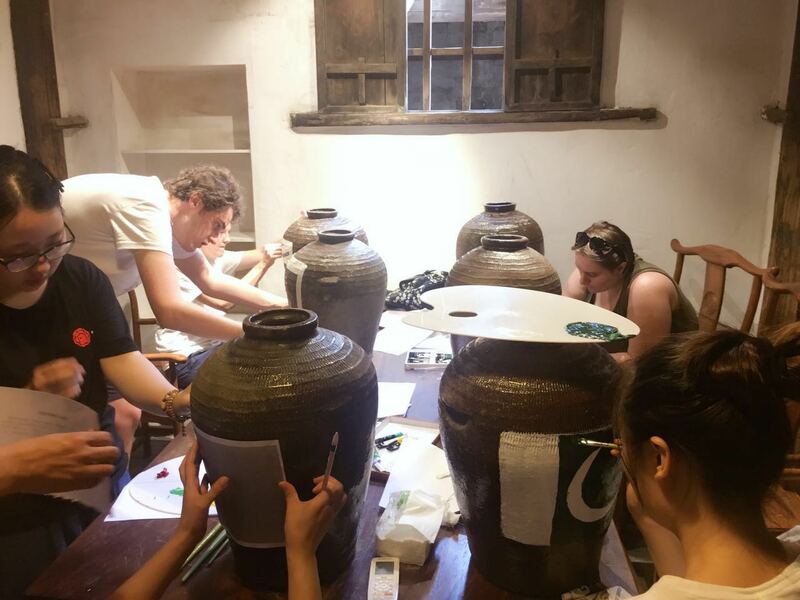 We are the Garden Group at the 5th session of the Jinhua Homestay Project in Suoyuan. 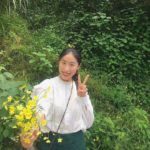 Below you can see more about us, and what we have been up to in our three weeks in the Jindong District. 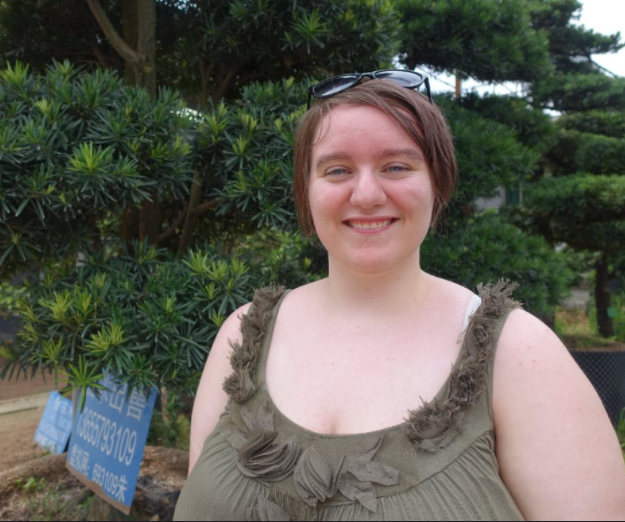 Malin Hafskjær – Norway: Malin is a university student from Bolsøya, Norway, and is undertaking her Bachelor Degree in Chinese Language at Bergen University. She speaks English, Spanish, Norwegian and Mandarin. In her free time she likes to play underwater rugby. 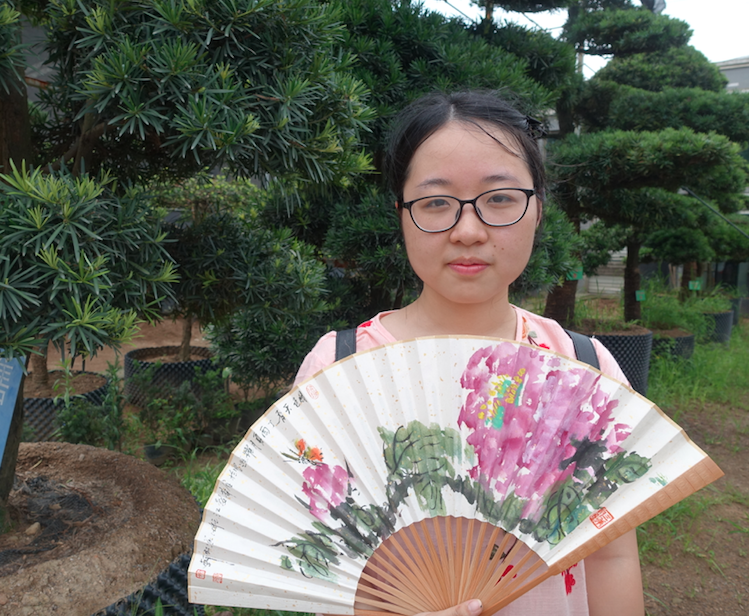 Malin chose to take part in the Jinhua Homestay Project because she enjoys learning about China, and wanted the opportunity both to learn more about lived-Chinese culture, and to practice her Mandarin. 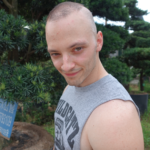 Brady Hazelbower – the United States of America: Brady currently works as an ESL teacher in Jinhua, Zhejiang Province. He holds a Bachelor of Science from the University of Illinois, and is the first of his family to obtain a tertiary degree. 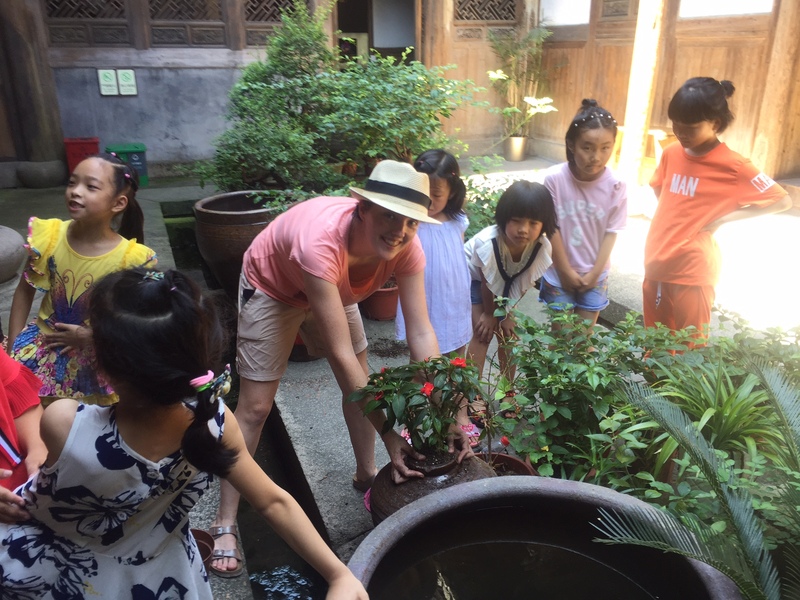 Brady has visited China and Vietnam before, and this is the second time he has participated in the Jinhua Homestay Project, staying in Yuyuan in 2016. 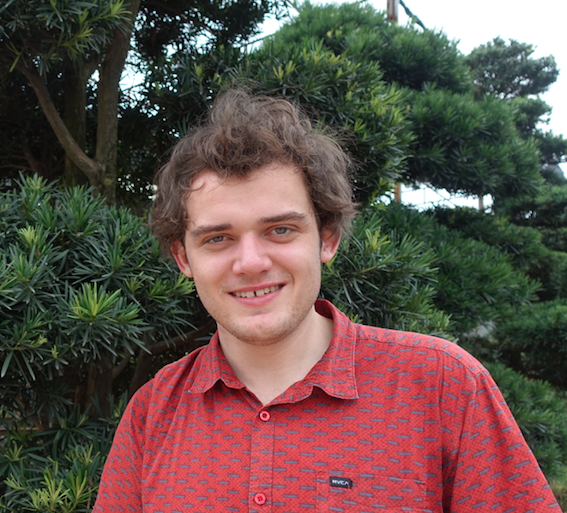 Reade Allison – Australia: Reade is studying at the University of Adelaide, undertaking a Bachelor of Arts, a Bachelor of Law, and a Bachelor of Language degree. 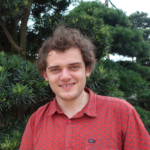 Reade speaks English, German and Mandarin, and has completed the HSK 5. He has visited China once before, travelling to Shanghai and Beijing, and studying Mandarin at Shandong University, Jinan, for 5 weeks. 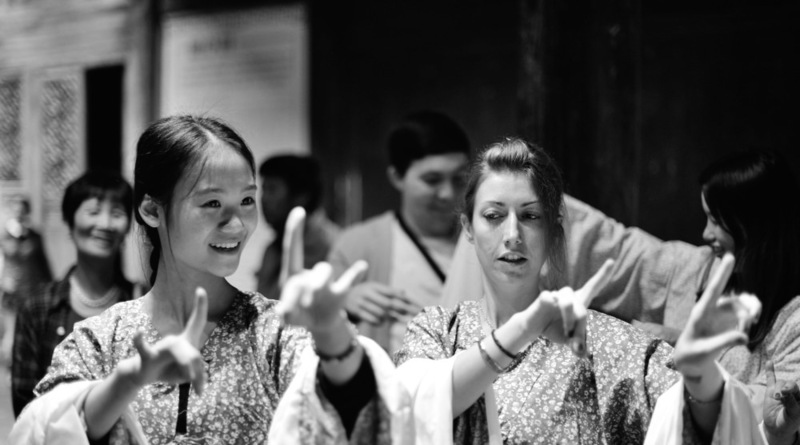 Having travelled to the major cities, Reade chose to take part in the Jinhua Homestay Project as a means to experience a more traditional form of Chinese life. 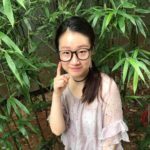 Charis Hu – China: Charis, often going by the nickname of A Fu amongst her friends, is completing her Bachelor of Arts from Zhejiang University. She comes from Jinhua, and speaks English and Mandarin. She is fond of reading and travelling, having visited both Thailand and Korea. 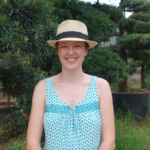 Charis enjoys growing flowers at home, and saw the homestay project as a great way to make meaningful relationships with people from across the globe, as well as to broaden her horizons. Yan Ruodan (Elle)- China: Elle is a teacher from Jinhua, holding a Bachelor of Teaching degree from Ningbo University. She speaks Mandarin, English and Japanese, and has visited Japan before. In her free time, Elle enjoys playing the guzheng. 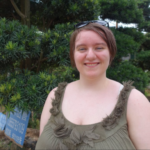 Elle loves doing volunteer work, and believed that the homestay would be a great opportunity to connect with people from all walks of life, as well as to learn a bit more of their diverse cultures and experiences. 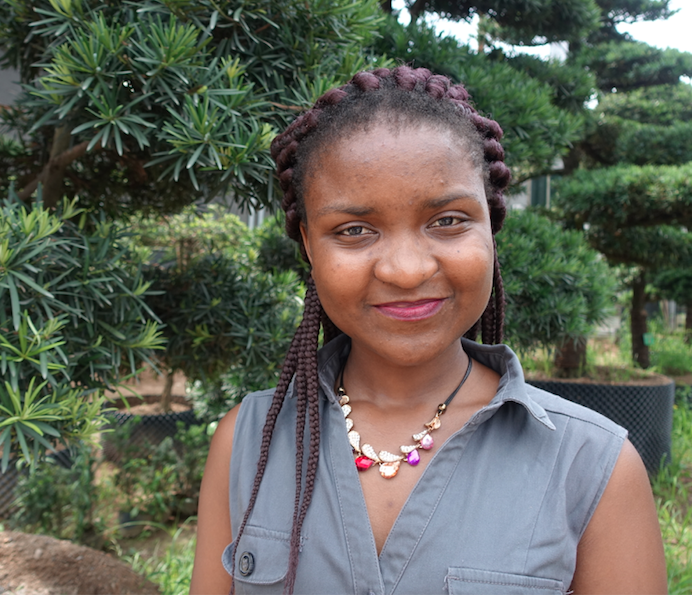 Thabile Manensa – South Africa: Thabile is undertaking a national diploma in Tourism Management at Walter Sisulu University. He speaks English, IsiXhosa and SeSotho. 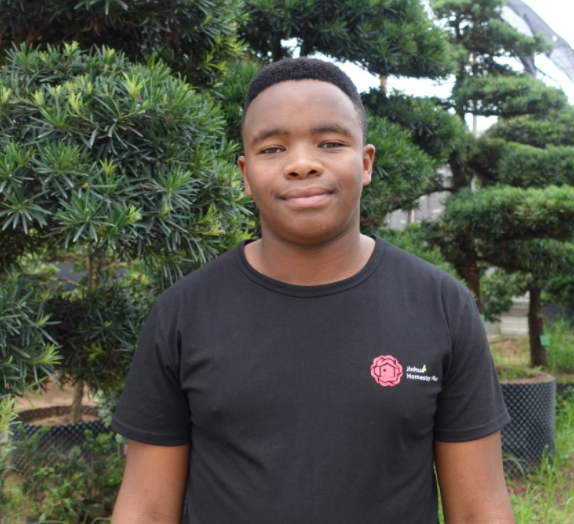 He hopes to found and register his own events company. 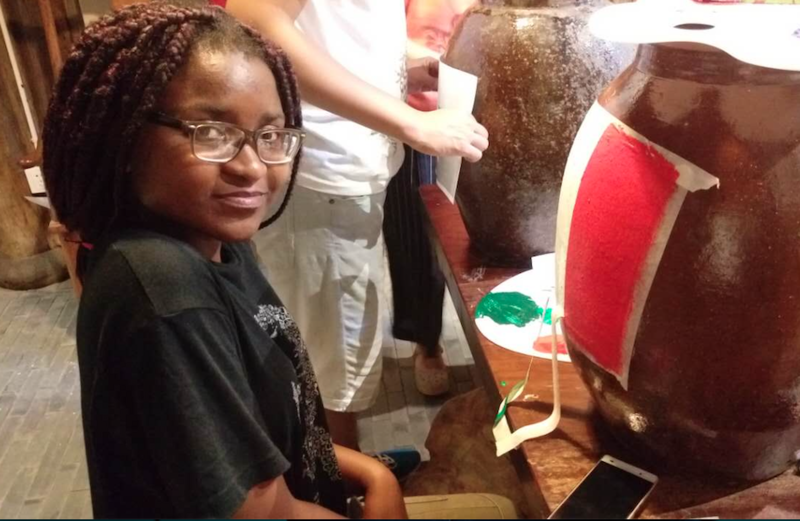 Thabile has been studying Asian culture at university, and thought that the homestay would be a great real-life example of culture in China. He has enjoyed the opportunity to learn more about not only China’s major cities, but also its traditional culture. 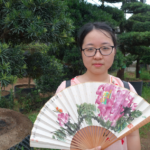 Xing Shuangshuang (Daisy) – China: Daisy is an English teacher from Jinhua. She speaks Mandarin, English and Japanese. She holds a Master’s degree in Translation Studies. 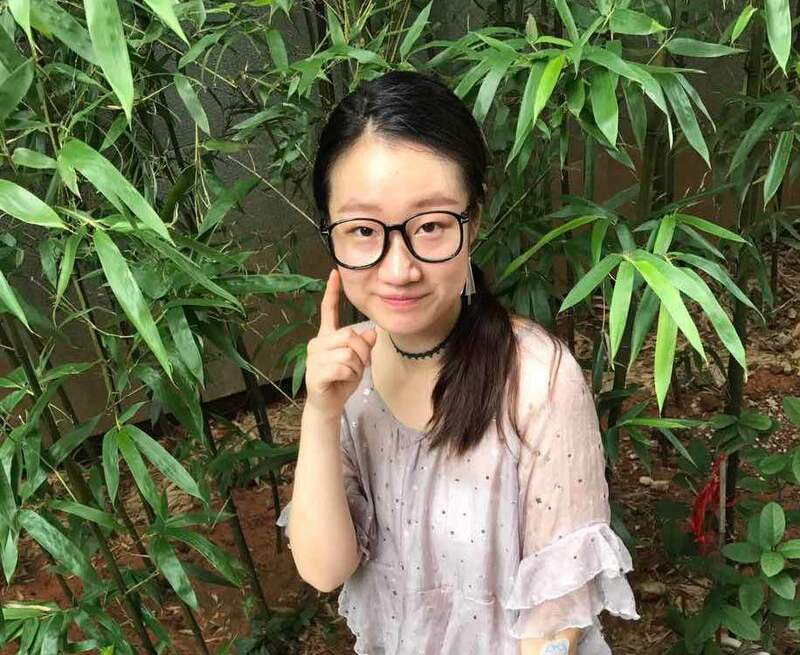 In her free time Daisy enjoys playing the guzheng and basketball. 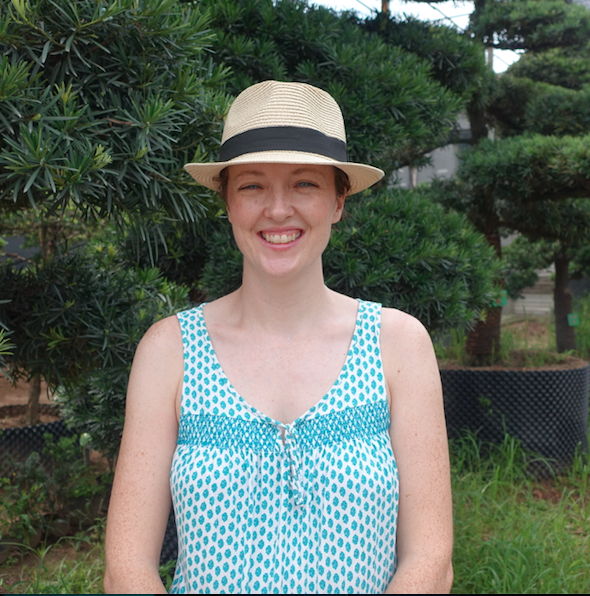 This has been Daisy’s second time volunteering as part of the Jinhua Homestay Project. 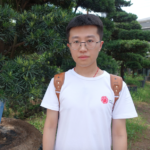 Guo Kaixin (Kai) – China: Kai originates from Taizhou, but is now a student at Jinhua University. He holds a Master’s degree in Translation and Interpretation. Kai has completed some translation work for the economy forum of the “Belt of Truth” initiative in Jinhua, and speaks Mandarin, Japanese and English, even though he doesn’t get many opportunities to practise his English. 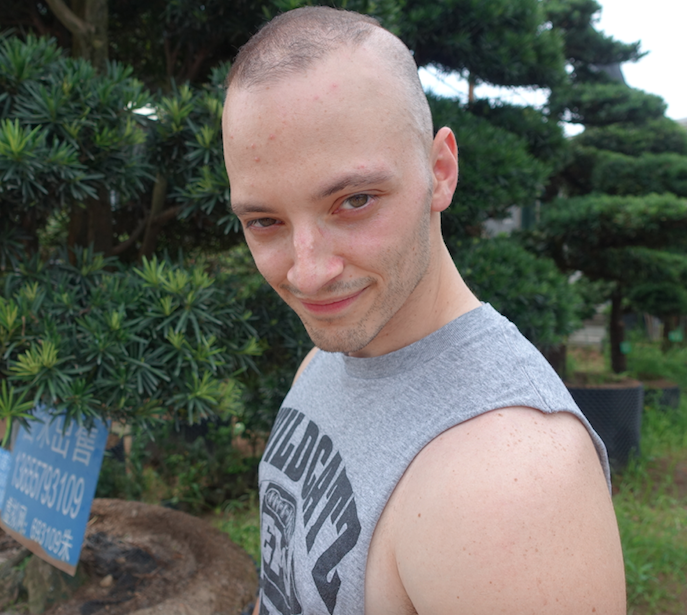 The project was the perfect way for him to use his English skills, and to meet people from different backgrounds. 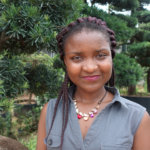 Cleopatra Dube – South Africa: Cleopatra is a student from Port Elizabeth. 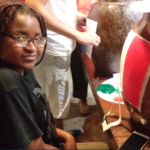 She is a research candidate for the Master’s of Science Chemistry degree at the Nelson Mandela University. She has been to Thailand and this is her first visit to China. Cleopatra speaks English and IsiXhosa. She is a self-identified speed freak, and loves to be inside fast-moving vehicles such as cars, bikes, boats and roller-coasters. 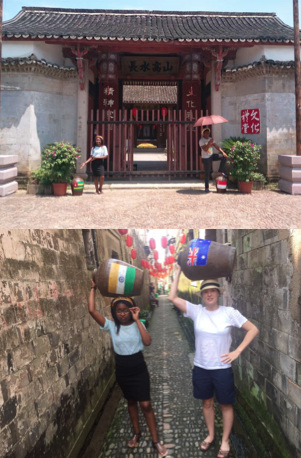 Despite her love of speed, Cleo has been enjoying the tranquil life of Suoyuan village, and believes that the homestay is a great opportunity for her to broaden her horizons and to see what the world has to offer. 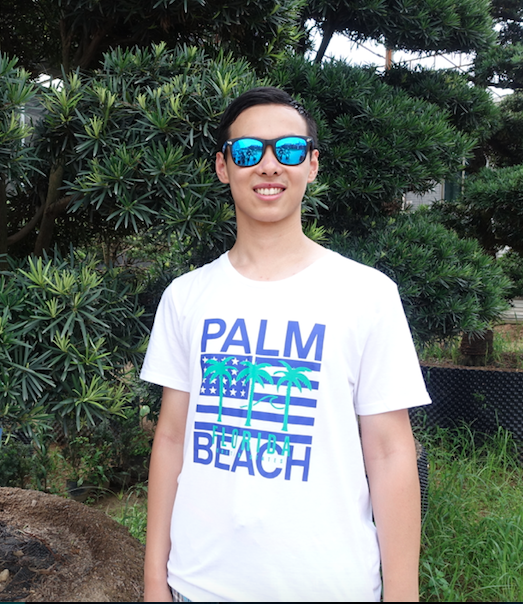 Xu Xiaogu (James) – China: James is about to commence his undergraduate studies at Tsinghua University, Beijing. 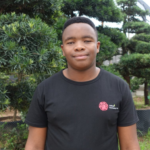 In his spare time, he enjoys playing sports, such as swimming and basketball, reading, and doing problem solving exercises. 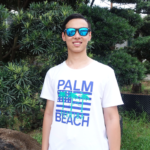 As he transitions from high school to university life, James has decided that this homestay project would provide him with the perfect opportunity to not only learn more deeply about Jinhua and its Chinese cultural heritage, but also to volunteer with people from all over the world, and to build many international friendships. Our group’s mission is to come to a greater understanding of Jindong District’s unique horticultural industry and of Suoyuan’s strong gardening culture. We will conduct research on the nature and function of gardening in the area. We will furthermore add our own contributions to the vibrant and colourful gardens that one can see dotted across the village. In this way we hope to bring light to the unique gardening and plant characteristics of the district, as well as to leave a memento of our time spent in this village, emphasising Suoyuan’s position as a global village. In the first week, the Garden Group worked hard to gather comprehensive information on gardening and horticulture in the Jindong area. 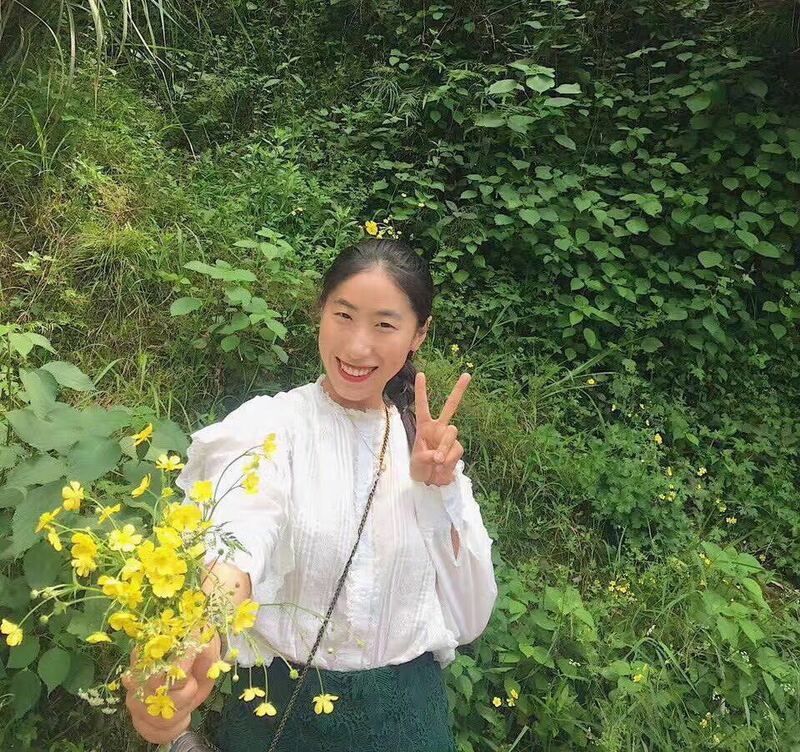 Our members surveyed the area, documenting and researching the commonly-found flora, as well as getting in contact with local experts to garner a deeper understanding of the cultural and social significance of Jindong’s garden characteristics. The information gathered has taken the form of a helpful brochure, detailing local varieties of plants and flowers that a keen observer may spy throughout the garden paths of Suoyuan, as well as more general information about the role of nurseries in the district. In the second week the group’s hard work took creative form in the production of our colourful pot plants, which not only highlight the gardening characteristics of the village, but also bear evidence of Suoyuan’s role as a global village, displaying brightly the flags of all the participants in the project. Our group members spent the week procuring the necessary materials, and working through each national flag, to produce something for the gardens that was both bright and colourful, as well as pertinent to the project at large. In the third and final week of the project, the group’s creations took to the streets of Suoyuan Village. Our members positioned the pots across the main attractions of the village, and filled them with plants and flowers of note for the region. Alongside the research we have published in our helpful brochure that visitors may use to come to a greater understanding of Suoyuan’s vibrant gardens, we have also collated interesting information on horticulture in the respective nationsof our participants. From this we hope to bring international colour to this project, and to shed more light on the nations of the participants who have left their mark on this global village. You will be able to see entries on the respective countries below. 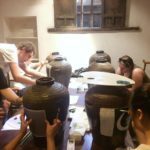 If you are feeling a little more adventurous however, you may find QR codes attached to each of our pots, which will take you to some interesting information corresponding to its representative nation. We hope you enjoy our little homage to Jindong’s international flavour, as well as all the vibrant greenery that Suoyuan has to offer!